House Minority Leader Nancy Pelosi reportedly interrupted a spirited dinner conversation with the president and nine male lawmakers on Wednesday evening with a question: "Do the women get to talk around here?" The remark came after Commerce Secretary Wilbur Ross asked the Democrats at the White House meeting what the president would gain from a bipartisan deal on the Deferred Action for Childhood Arrivals (DACA) program and border security, two people familiar with the conversation told The Washington Post. As Pelosi attempted to respond that the deal would result in more Democratic support for other White House agenda items, she was reportedly interrupted by her colleagues, all of whom were male, who began talking over her and one another. 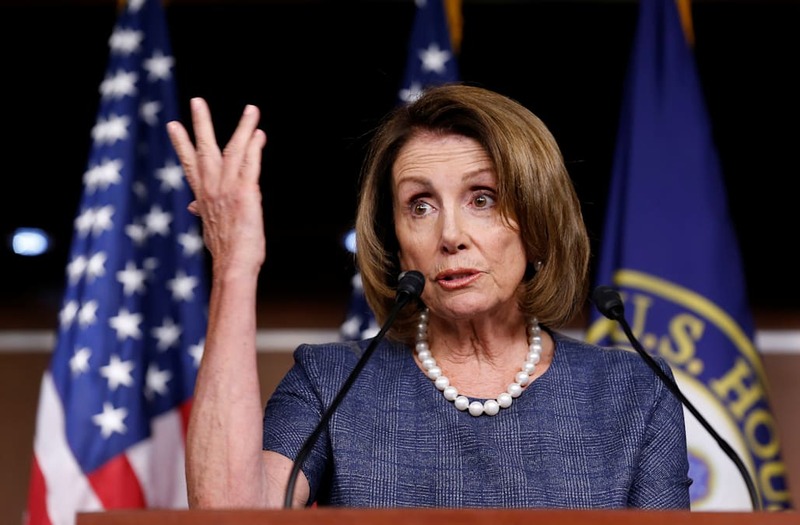 The group reportedly went silent after Pelosi's interjection and she was not interrupted again. The dinner resulted in a possible deal between the president and Democrats over a legislative version of DACA, which protects 800,000 young immigrants from deportation. If the deal materializes, it would be the second bipartisan compromise shepherded by the president, Pelosi, and Senate Minority Leader Chuck Schumer in under a month, despite some conservative opposition.